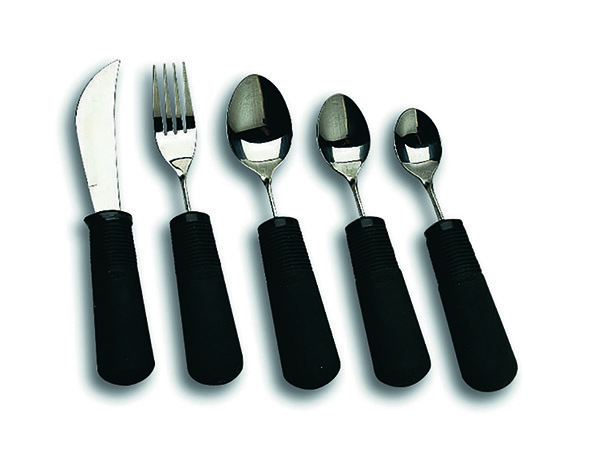 These popular utensils which includes 6 utensils and will provide you with a way to enjoy mealtimes again. 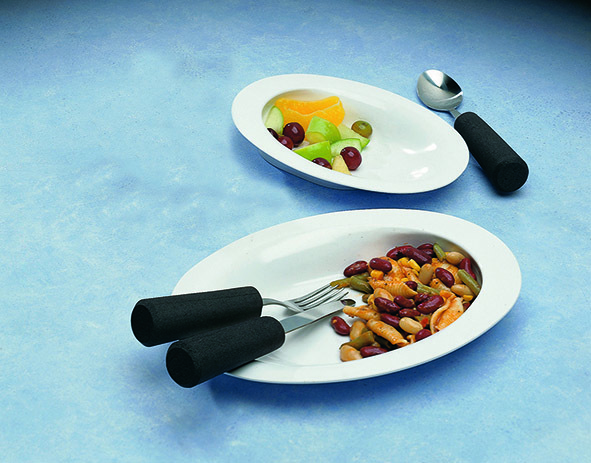 All Good Grips Cutlery has a large cushioned handle made of rubber to ensure they are easy and comfortable to hold – even when they get wet. At the top of the rubber handle, the flexible ribs help to provide you with an extra secure grip. No matter if your hands are large or small, the latex-free handles are soft enough to adapt to them. The twisting stainless steel shafts on the fork and spoon will allow you to bend the heads of the cutlery to any angle which makes scooping, cutting, and eating the food much easier. It also makes mealtimes more comfortable, especially for those who have stiff or painful joints. On the Good Grips knife, there is a curved blade. 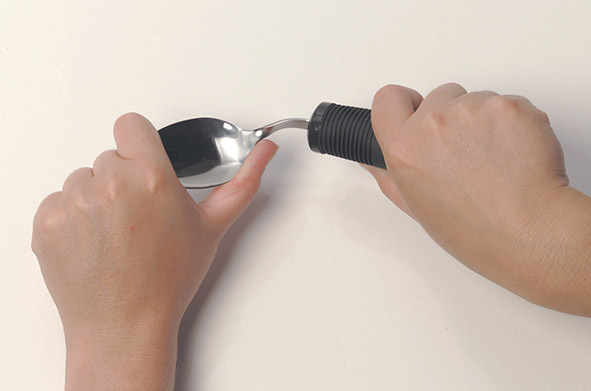 This enables the user to gently rock back and forth rather than slice. Very little pressure is needed which compensates for people who have very little strength in the hands, wrists, or arms. This product is very popular among our customers. We’ve found that it really does help for people with arthritis and other medical conditions that affect movement and dexterity.